Florence Nightingale: You Know Her as the Pioneer of Modern Nursing, But as a Passionate Statistician! But as a Passionate Statistician! Florence Nightingale (May 12, 1820 – August, 13 1910), who came to be known as "The Lady with the Lamp,” was the pioneer of modern nursing, and a noted statistician. 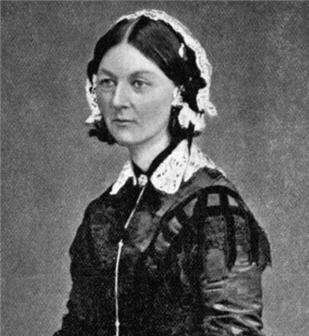 Florence Nightingale had exhibited a gift for mathematics from an early age and excelled in the subject under the tutorship of her father. She had a special interest in statistics, a field in which her father was an expert. Nightingale – a self-education statistician – made extensive use of statistical analysis in the compilation, analysis and presentation of statistics on medical care and public health. Inspired by what she took as a “Christian divine calling,” Nightingale had a strong desire to have a career in medicine. In 1851, Florence's father gave her permission to train as a nurse, despite her mother’s disapproval because nursing was a career with a poor reputation, filled mostly by poorer women. Nightingale was a pioneer in the visual presentation of information. In 1857, she unknowingly reinvented pie chart (as Playfiled invented it in 1801), which helped her disprove the medical assumptions of her day. Using fatality counts from the Crimean War, Nightingale develops a progressive series of statistical diagrams that reveal startling information: most soldiers did not die of their wounds, as reported, but in army hospitals, from diseases related to poor hygiene. When further data showed army death rates twice that of the civilian population, Nightingale traces the cause to overcrowded, disease-ridden barracks. She used in her report to the royal commission to force the British army to maintain nursing and medical care to soldiers in the field. In her later life, Nightingale made a comprehensive statistical study of sanitation in Indian rural life and was the leading figure in the introduction of improved medical care and public health service in India. In 1859, Nightingale was elected the first female member of the Royal Statistical Society and she later became an honorary member of the American Statistical Association.